session road | Badudets Everything Nice! 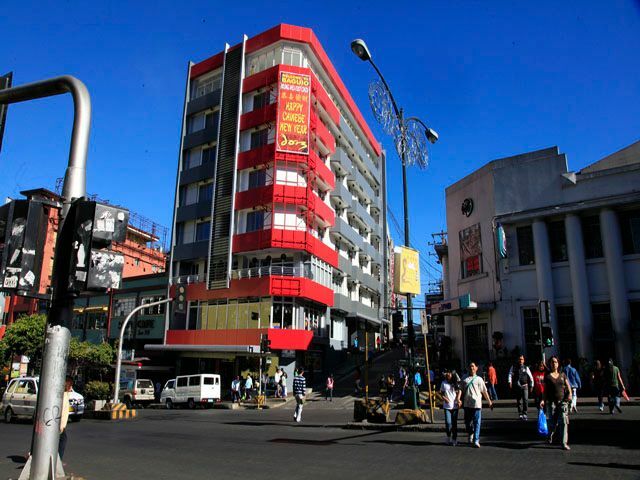 City Center Hotel is a new and modern hotel in Baguio City that is centrally located in Session Road. When I was looking for our hotel to stay in last Holy Week, I carefully searched for photos of hotels and their locations. Other Baguio hotels we stayed from previous visits are really old and rundown like the Harrison Inn (location is good too but very old). I was skeptical at first if City Center Hotel is really new because it’s in Session Road and that area is filled with old buildings. But I asked my friend who is based in Baguio and she confirmed that it’s indeed new. I booked via their website, they reply fast. You have to pay the room reservations in full though via bank deposit if you’re going to book in advance. After you wired the payment, send them an email with your deposit slip attached and they will send you a confirmation at once. Email correspondence is really fast and reliable.